Ryan Reynolds is done playing superheroes for good after Deadpool. Star Wars: Rogue One may have added a cadre of infamous Bounty Hunters to its cast. Plus, teasers for Fear The Walking Dead and Heroes Reborn, new footage from Ant-Man, and a new prequel for The Strain. To Me, My Spoilers! We all want to be Batman alone at home in our specifically-sewn Bat pajammies, but no, I have no desire to play any other superheroes after this. Hopefully we’ll get to do ‘Deadpool’ again. Given the fact that it’s rated R, the fans have to show their support for it, and they have to come out and make it worthwhile for the studio to make another one, but that’s it for me. I’ve punched that superhero card a few times now, and that’s enough. Off the back of the news that Darth Vader will appear in the film, Bloody Disgusting is reporting that a cavalcade of Bounty Hunters will feature as villains, working for the the main villain, a Grand Moff allegedly played by Ben Mendehlson. The list includes the likes of Boba Fett, Bossk, Dengar, IG-88, 4-LOM and Zuckuss, as well as a live action debut for Clone Wars character Cad Bane. Our prototype is the way the President is seen on Veep. It’s certainly [inspired by] so much of what Julia-Louis Dreyfus’ character goes through. 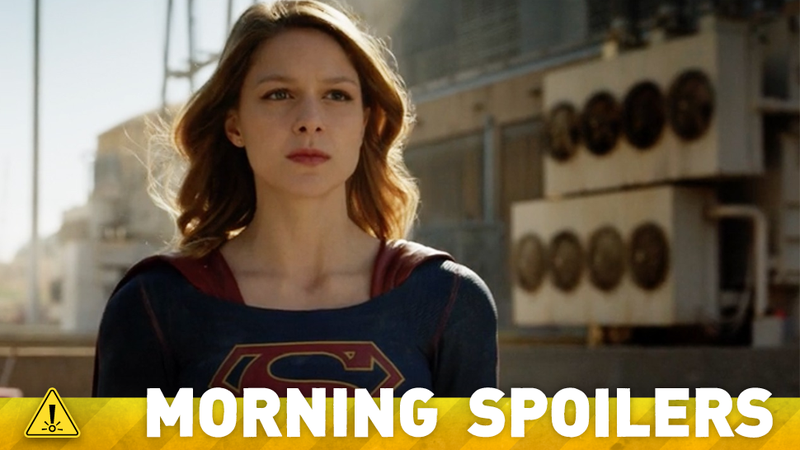 Ultimately, this is a show about Supergirl, and we really want to see it through her lens. Adam Horowitz and Edward Kitsis tease the new season. Might Regina be tempted by Emma’s dark side? Kitsis: I think we’re always tempted. It’s always more fun to hang out with someone who is willing to get into trouble than the person that won’t. Will Emma have the powers of the seer as well and be able to see the future? Horowitz: She’s going to be exploring exactly what her powers are. Stiles works on tracking down a fugitive; Liam tries to be Mason’s wingman at a nightclub. In hopes of learning more about the Dread Doctors, the pack goes into Eichen House. - H.R.G. is living in isolation when a conspiracy theorist (Henry Zebrowski’s Quentin) brings him information on a terrorist attack in Odessa, TX that is blamed on the heroes. - Luke Collins (Zachary Levi’s character) is a father hell-bent on avenging his child’s death in the Odessa tragedy. Judith Shekoni’s character, Joanne, is Luke’s revenge-seeking wife. Showrunner Matt Miller has confirmed that Warner Bros. have been unable to find a new home for the show, and that it is completely done for at this point. Additional reporting by Abhimanyu Das and Charlie Jane Anders. Top image: Supergirl.